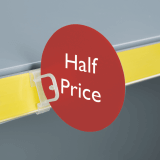 Clearly displaying labels containing important pricing or product information is a consistently effective way of attracting customers to specific areas of a retail store. 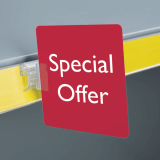 Whether you require a flagsign holder that can be fixed to a datastrip, a promotional sign holder or even aSupergrip wire basket sign holder, you will find them all here at UK POS within our selection of ticket fixings. 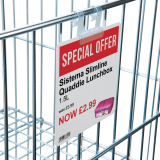 All our items can capture the attention of potential customers, and can even increase average basket value in retail stores, making them one of our most popular items. 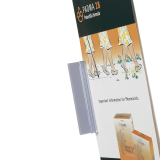 With large volumes in stock for bulk next day deliveries, place your order with UK POS today.